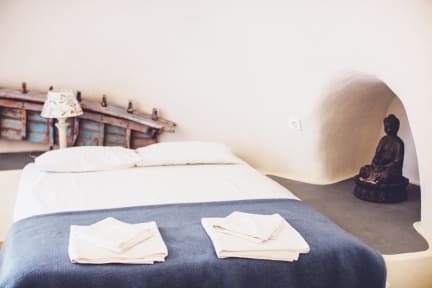 Caveland i Santorini, Grækenland: Reservér nu! This is the best hostel I've ever stayed at without doubt. The atmosphere is amazing and the staff is so lovely and helpfull. This hostel has so much soul, you can really se how much work they've put in all the little details in the dorms and all around the hostel. The area is beautiful and it's only a 15-20 minuts walk to center. 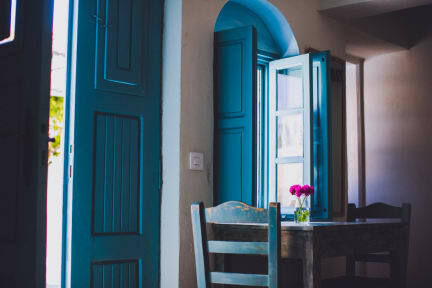 I can ONLY reccomend it to everyone who's looking for a cozy, clean, and peaceful hostel in Santorini!